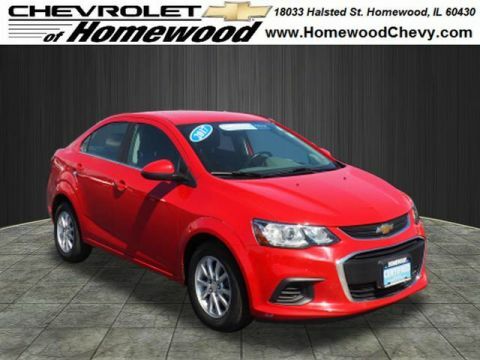 A Chevrolet certified pre-owned vehicle establishes the best of both worlds between new car and used car. Consider these the cream of the used car crop. 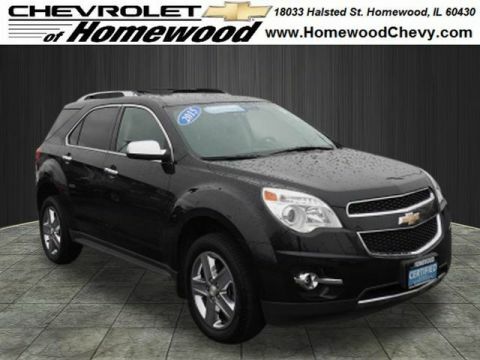 From SUVs to sedans, only the best models are selected, and each one is fitted out with tempting incentives. Just take a look at our inventory. 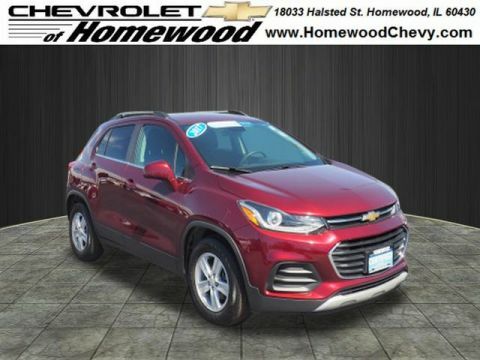 Clean CARFAX.Awards: * JD Power Initial Quality Study * 2015 IIHS Top Safety Pick * 2015 KBB.com 5-Year Cost to Own Awards * 2015 KBB.com 10 Most Affordable CarsSmart shoppers shop Chevrolet of Homewood. 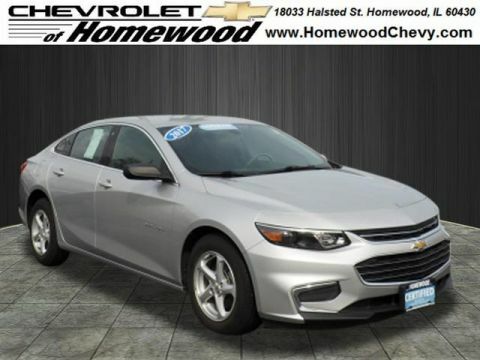 Clean CARFAX.Awards: * 2016 IIHS Top Safety Pick with optional front crash prevention * 2016 IIHS Top Safety PickSmart shoppers shop Chevrolet of Homewood. Clean CARFAX. CARFAX One-Owner.Awards: * JD Power Initial Quality Study (IQS) * 2017 KBB.com 10 Coolest New Cars Under $18,000 * 2017 KBB.com 10 Most Awarded BrandsSmart shoppers shop Chevrolet of Homewood. jet black Leather. Clean CARFAX. 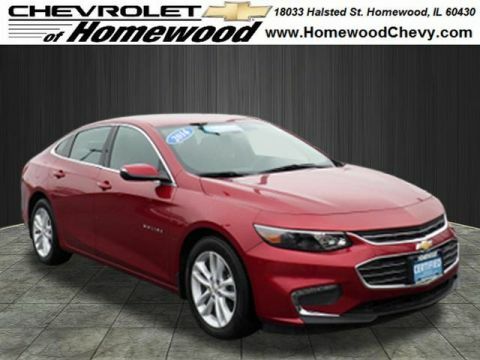 CARFAX One-Owner.Awards: * 2016 IIHS Top Safety Pick+ with optional front crash prevention * 2016 IIHS Top Safety Pick+ * 2016 KBB.com Best Buy Awards Finalist * 2016 KBB.com 10 Best Sedans Under $25,000 * 2016 KBB.com 16 Best Family Cars * 2016 KBB.com 10 Most Awarded Cars * 2016 KBB.com 10 Most Comfortable Cars Under $30,000Smart shoppers shop Chevrolet of Homewood. Recent Arrival! Clean CARFAX. 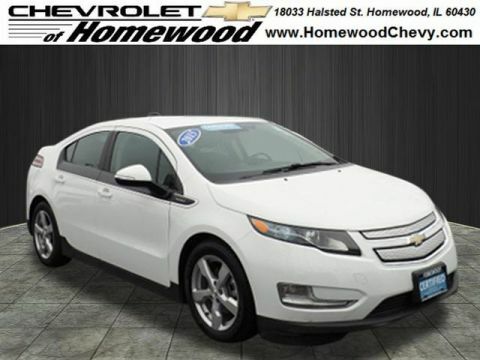 CARFAX One-Owner.Smart shoppers shop Chevrolet of Homewood. Clean CARFAX. 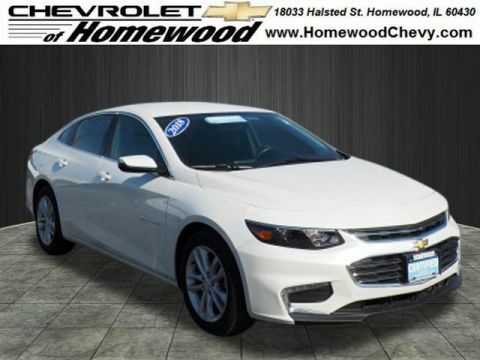 CARFAX One-Owner.Odometer is 9100 miles below market average!Awards: * 2015 IIHS Top Safety Pick * 2015 KBB.com 10 Best Green Cars * 2015 KBB.com Best Buy AwardsSmart shoppers shop Chevrolet of Homewood. Clean CARFAX. 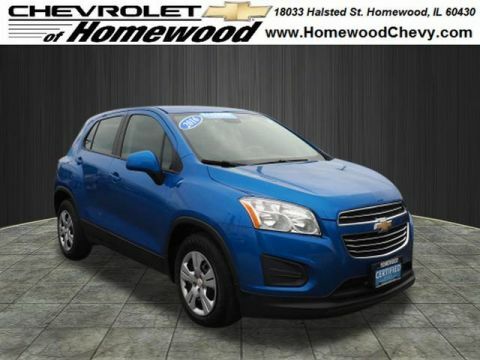 CARFAX One-Owner.Awards: * 2017 KBB.com 10 Most Awarded BrandsSmart shoppers shop Chevrolet of Homewood. Clean CARFAX. CARFAX One-Owner.Odometer is 5018 miles below market average!Awards: * 2017 KBB.com 10 Most Awarded BrandsSmart shoppers shop Chevrolet of Homewood. jet black Cloth. CARFAX One-Owner.Odometer is 5087 miles below market average! 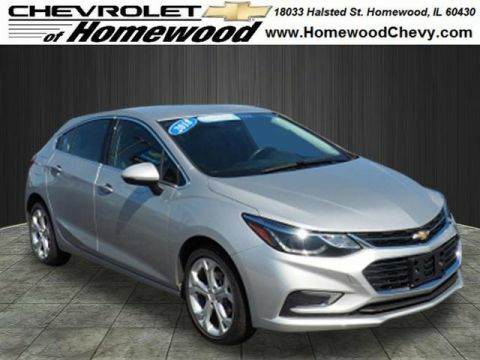 Priced below KBB Fair Purchase Price!Awards: * 2016 IIHS Top Safety Pick+ with optional front crash prevention * 2016 IIHS Top Safety Pick+ * 2016 KBB.com Best Buy Awards Finalist * 2016 KBB.com 10 Best Sedans Under $25,000 * 2016 KBB.com 10 Most Comfortable Cars Under $30,000 * 2016 KBB.com 16 Best Family Cars * 2016 KBB.com 10 Most Awarded CarsSmart shoppers shop Chevrolet of Homewood. jet black Cloth. Clean CARFAX. 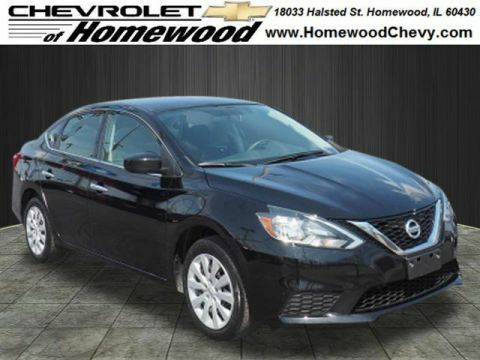 CARFAX One-Owner.Odometer is 12017 miles below market average!Awards: * 2017 IIHS Top Safety Pick with optional front crash prevention * 2017 KBB.com 10 Most Comfortable Cars Under $30,000 * 2017 KBB.com Best Family Sedans * 2017 KBB.com 10 Best Sedans Under $25,000 * 2017 KBB.com 10 Most Awarded BrandsSmart shoppers shop Chevrolet of Homewood. Clean CARFAX. 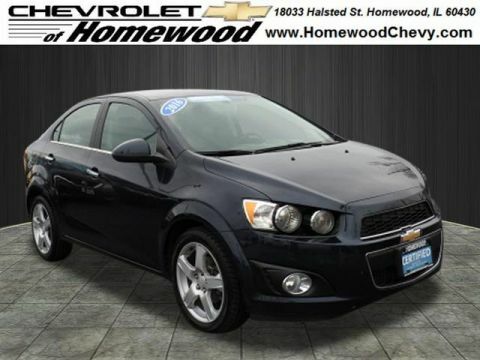 CARFAX One-Owner.Odometer is 19000 miles below market average!Smart shoppers shop Chevrolet of Homewood. Clean CARFAX. 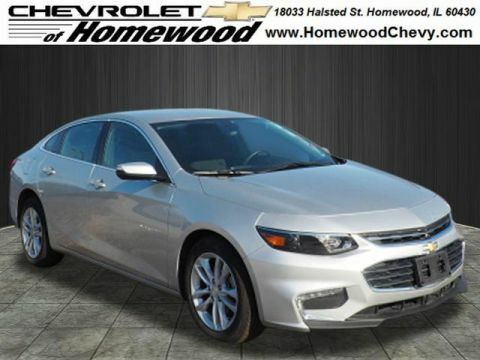 CARFAX One-Owner.Smart shoppers shop Chevrolet of Homewood. jet black Cloth. Recent Arrival! Clean CARFAX. 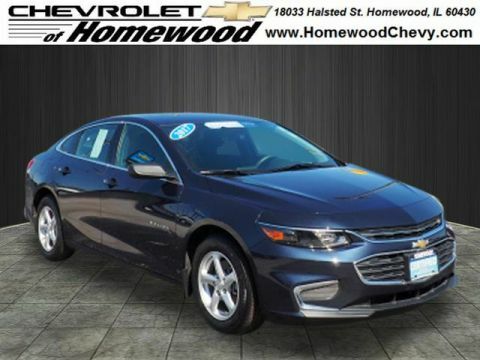 CARFAX One-Owner.Odometer is 25836 miles below market average!Awards: * 2017 IIHS Top Safety Pick with optional front crash prevention * 2017 KBB.com 10 Best Sedans Under $25,000 * 2017 KBB.com 10 Most Comfortable Cars Under $30,000 * 2017 KBB.com Best Family Sedans * 2017 KBB.com 10 Most Awarded BrandsSmart shoppers shop Chevrolet of Homewood. jet black Cloth. Clean CARFAX. 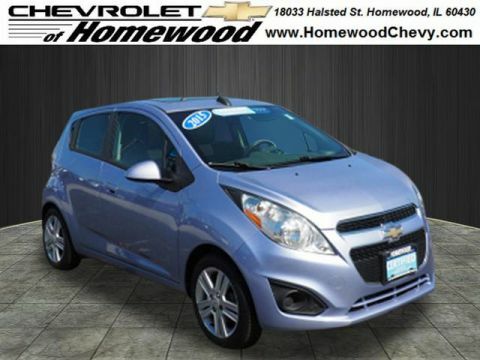 CARFAX One-Owner.Odometer is 7030 miles below market average!Smart shoppers shop Chevrolet of Homewood. jet black Cloth. Clean CARFAX. 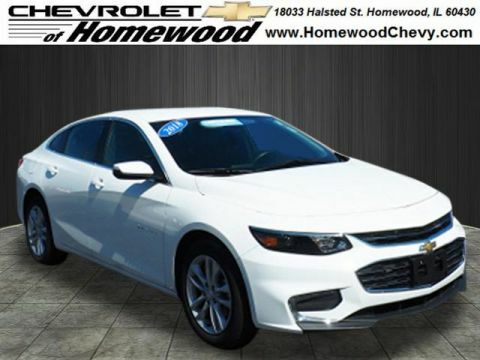 CARFAX One-Owner.Odometer is 9728 miles below market average!Smart shoppers shop Chevrolet of Homewood. jet black Cloth. Clean CARFAX. 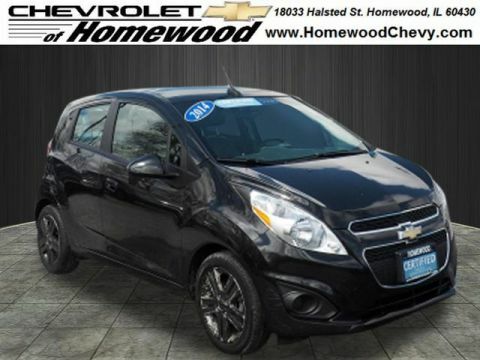 CARFAX One-Owner.Odometer is 11179 miles below market average!Smart shoppers shop Chevrolet of Homewood. jet black Cloth. Clean CARFAX. 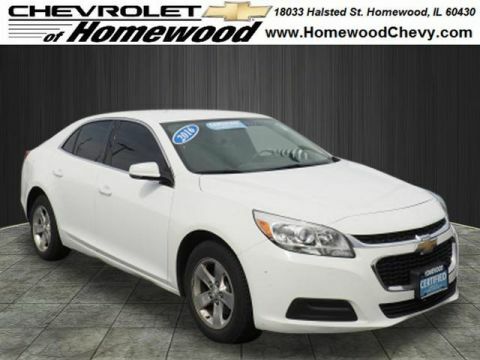 CARFAX One-Owner.Odometer is 7001 miles below market average!Smart shoppers shop Chevrolet of Homewood. Awards: * JD Power Initial Quality Study * 2015 IIHS Top Safety PickSmart shoppers shop Chevrolet of Homewood. 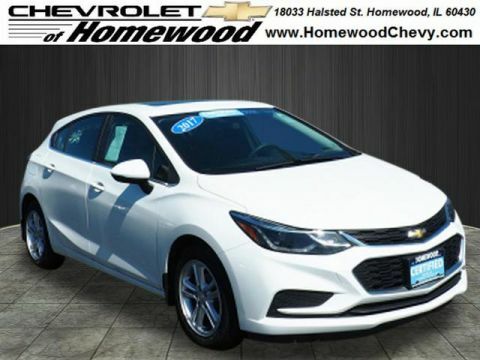 To even be considered for the Chevy CPO program, models must be under a certain number of years old and have less than a certain number of miles on the clock. Each prospective model is then put through a rigorous inspection to ensure adherence to the highest standards. When you buy one, you get two factory-backed limited warranties and roadside assistance for a period of 6 years or 100,000 miles. 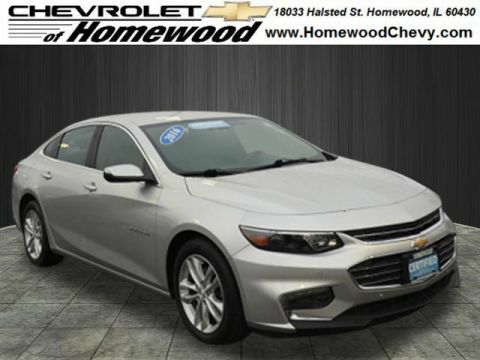 Instead of trusting private sellers across Chicago Heights, Markham, and Homewood, enjoy the benefits of a Chevy CPO by visiting us today. If you’d like to find out more, contact us online.